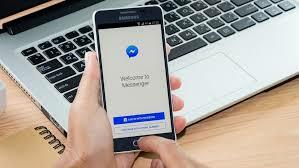 In April this year, the Facebook CEO Mark Zuckerberg had a lot of attack after removing the information from many Facebook user's inboxes without any information. Many Facebook users questioned the transparency of this platform. At that time Facebook had to confirm that the messaging feature will be rolled out in the future to calm the ruckus. Now the company has introduced this feature in its Messenger app. Some screenshots of this feature were shared in the last month, after which discussion was hot about making this feature a part of the instant messaging chat app. The new Unsend feature has been rolled out in Poland, Bolivia, Colombia, and Lithuania. In these countries, this feature is available on messenger Android and iOS apps. A Facebook spokesman told TechCrunch that this feature will soon be rolled out to Messenger users around the world. With the help of 'Remove for Everyone' feature, the user will be able to delete any sent message within 10 minutes. Users will be able to delete sent text, group chats, videos, and photos. After 10 minutes you can only use the 'Remove for you' feature. The message here will be deleted, but only for you. To use the unseen feature, you have to hold that message for a while, which you want to delete. After this, the 'Remove for Everyone' and 'Remove for You' options will pop up on the screen. There will now be a warning on the screen which will tell you to delete the message permanently for all chat members. They will see that you have deleted the message and you will still be able to complain against them. "As soon as you read this warning, you will confirm. The message will be deleted and its place will be written, 'You removed a message'.